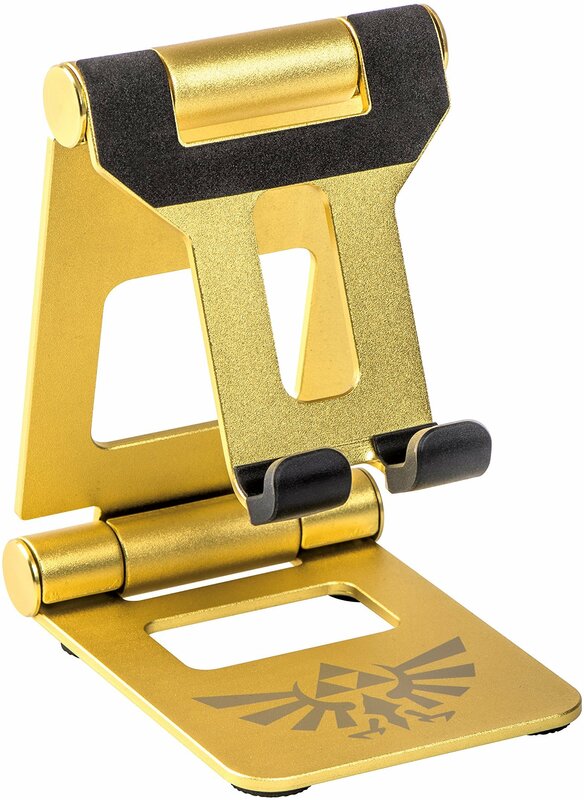 Officially licensed by Nintendo, the “Zelda: Breath of the Wild” Compact Metal Stand is designed to hold the Nintendo Switch so you can play and charge at home or on-the-go. Made of durable aluminum alloy, this stand features 2-point articulation for adjustable viewing angles. Anti-slip rubber pads keep the Nintendo Switch in place and prevent the stand from sliding. Its fold-away design fits right in your pocket or in the included drawstring travel bag. Take this stand anywhere to play in tabletop mode.